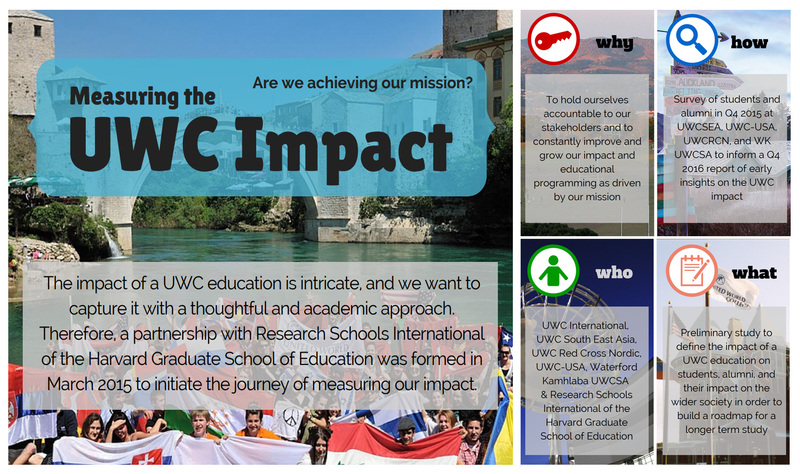 You are invited to participate in the inaugural pilot UWC Impact Study coordinated by the UWC International Office. This multi-college survey is intended to gather initial insights into the impact that UWC students and alumni have on their communities and the wider world. For a long time we have seen the need for more substantial data about what impact our education has had – and are indeed grateful to have been included in this phase of the study. You will receive an email invitation in a few days with more information about contributing to the effort. Please take a moment to complete this survey, and as always, thank you for your continued commitment to UWC and our mission. An RCN delegation – consisting of Larry Lamont (Rektor), Arne Osland (Director of Development), Pär Stenbäck (Chair of RCN’s Council), Tove Veierød (Chair of RCN’s Board) – has been invited to be present at the opening of our sister College, UWC Changshu China on Saturday 7th November. RCN has been involved over a considerable period of time in the setting up of a UWC in mainland China and has contributed to the development of different projects in Ningxia and Beijing and finally in Changshu – Magne Bjergene (former Director of Development) made an invaluable contribution and Mark Wang (an RCN alumnus) is the founder of the College. A Memorandum of Understanding has been signed between RCN and UWC Changshu China with a view to developing a special education Sino-Norwegian educational partnership. 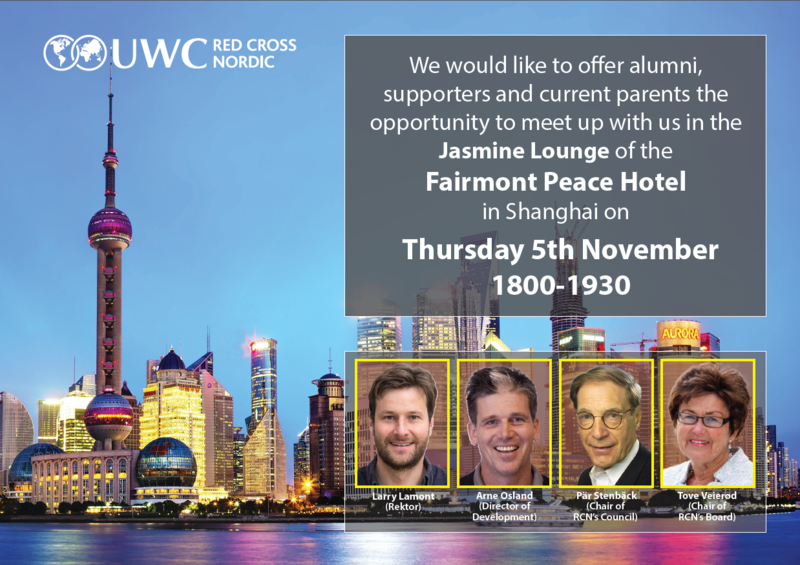 Alongside the official opening ceremony, we are holding a drinks reception for alumni, supporters and current parents at the Fairmont Peace Hotel in Shanghai on the evening of Thursday 5th November (1800-1930 in the Jasmine Lounge) – and we look forward to meeting our Chinese network in Shanghai. 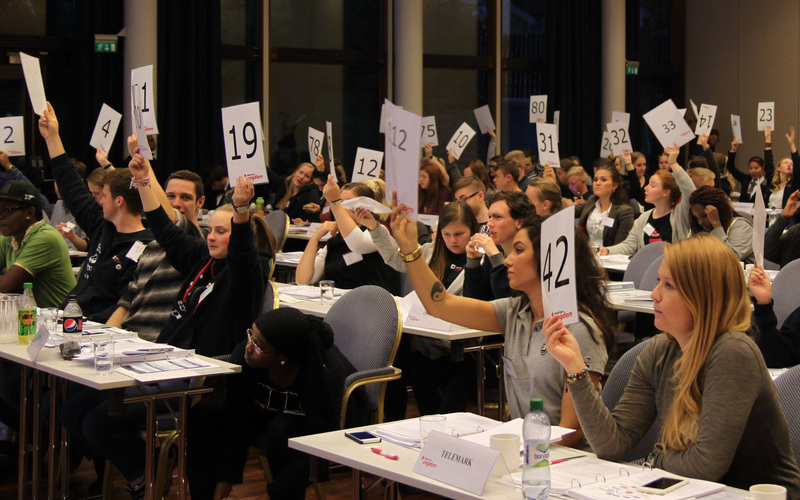 The annual meeting of the Norwegian Red Cross Youth was both inspiring and very interesting. The main topics of discussion were physical health for youth, the immigration situation in Europe and urging Norway to take greater responsibility – as well as discussing the climate crisis from a humanitarian perspective, cutting emissions to avoid disasters and ultimately save lives. An important point for me then was that right now there are 4 to 15 times more refugees running from climate change than from war, and that this number will increase exponentially as we let our planet heat up. Another main point discussed was also to grow tighter bonds with the rest of Norwegian Red Cross movement to do more activities together and thereby strengthen our impact in our local communities. It was all in all a highly enjoyable event where young Red Cross-ers from all over the country got together, decided the path for the year to come as well as socializing and getting inspired by each other. This week the UWC Heads of the 15 colleges and schools gathered in Split (Croatia) for their biannual meeting. 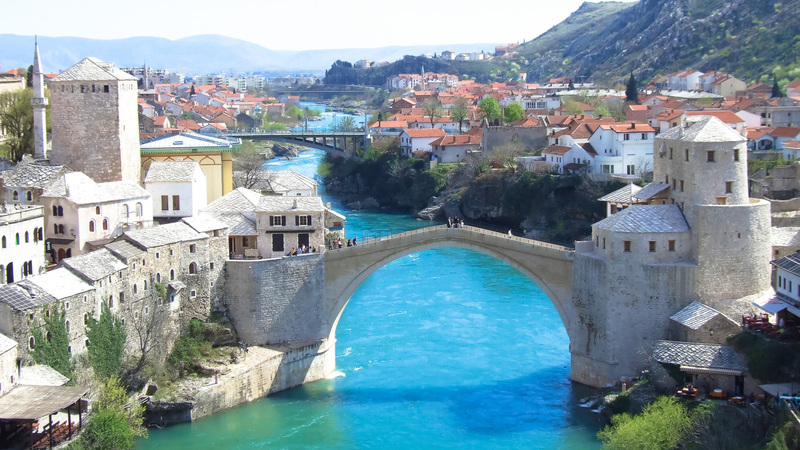 They then transferred to Mostar for the annual UWC Council Meeting with all guests wonderfully hosted by the students and staff of UWC Mostar – guests were invited to participate in Balkans Studies’ workshops, community service projects and a workshop taster on ‘Education in a Conflict and Post-Conflict Context’. The UWC Mostar students put on a stunning cultural show for Council members on theFriday evening. 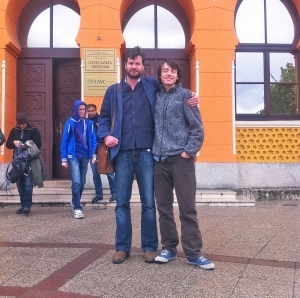 Larry met up with Jakub Crcha (Slovakia and RCN graduate of 2015) who is currently working at UWC Mostar as a volunteer and making a valuable contribution. The agenda for the Council Meeting was full of stimulating items – from community engagement strategy to a state of UWC address by the new Executive Director (Jens Waltermann), from a presentation by the Chair of the International Board (Sir John Daniel) to college / school annual reports. RCN has offered to host the UWC International Board on campus in February for its biannual meeting – and the Board members are looking forward to visiting the College in mid-winter!